Self-made solutions for valve position indicators are often used to determine the open /closed position of a manual multi rotation valve. What are the main problems that customers experience with these types of valve position indicators and what product characteristics would end users in the industry actually prefer? Recently, Netherlocks conducted an extensive market research on valve position indication, specifically for (manual) multi rotation valves. This investigation revealed that many companies apply self-made or ‘bracket type’solutions and that they experience serious issues with the use of these kinds of position indicators. In the process industry, awareness of the valve status is essential to avoid injury and equipment damage. For this reason, valve position indicators are used in order to communicate an open and closed position of manually operated valves to the control room. In traditional open and close position indicators, self-made brackets are simply attached to the valve, fitted with a custom made bracket. A proximity sensor or limit switch is used to detect the rising of the spindle. In general, these kinds of devices offer a cheap, self-made solution. Quite often, there are crafted by end-users themselves or by valve suppliers, on request of their clients. One of the main outcomes of our investigation is that industry encounters a number of problems with the application of bracket type position indicators. Prominently, results showed that dislocated switches (that need re-adjustment) are regarded as the biggest downside when using these self-made brackets. Since the correct position of the switch cannot be guaranteed, the switch signal cannot be trusted, which results in unreliable information. The results of our investigation clearly show that the reliability of bracket type valve position indicators is considered to be far below standard. As it comes to the factors that are regarded as most important for valve position indication, end- users primarily considered a reliable open or closed signal to be the most important feature. Other factors, such as durability and performance in all climates were also considered to be very important. The research results clearly show that getting reliable information on the open and close positions of valves is of prime importance. Surprisingly, the industry still uses self-made solutions for valve position indication. Even while these are regarded as poor quality devices that easily dislocate and need frequent re-adjustment in order to function properly. In general, bracket adaptor type position indicators substantially underperform on all factors that are perceived by the industry as important. 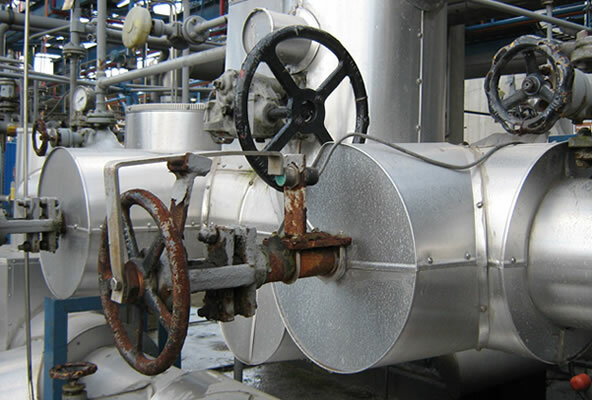 The petrochemical industry is arguably not being served well, as poor quality products are still used for detecting the open /closed position of manual valves. This is remarkable, for getting a reliable signal is of utmost importance for guaranteeing safe operations. In fact, the only reason for applying valve position indicators is to get accurate information on the position of critical valves. Therefore, as an important lesson learned from our investigation, companies should opt for better solutions and refrain from self-made solutions for detecting valve positions. Copyright © 2006 - 2013 Netherlocks Safety Systems. All rights reserved.